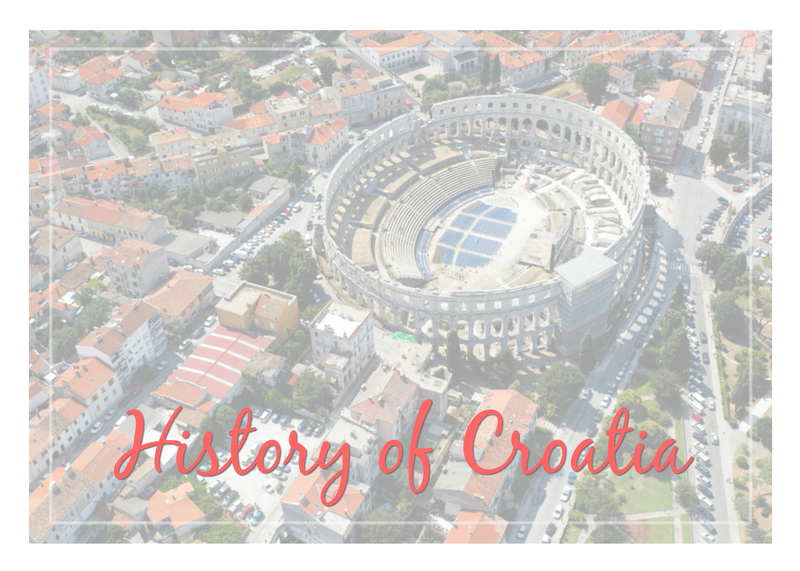 The history of Croatia – or the general area of where the country is located today – can be traced back to prehistoric times, although there isn’t a large amount of evidence to suggest any particularly big settlements or tribes from that time. Remains of Neanderthals have been found in Croatia, which are estimated to be over 30,000 years old – if you’re interested in finding out more about this, pay the modern and highly respected Krapina Neanderthal Museum (located north of Zagreb) a visit when in the country. If we fast-forward a little, to around 1000 BC, a number of Illyrian tribes settled in areas to which they eventually gave their name – these include the Histri (in Istria) and the Delmati (in Dalmatia) on the mainland and on some of the inlands. The Greeks then conquered parts of present-day Croatia in the 4th century BC, although not to the extent one might imagine, given their power elsewhere. Their main colonies included the island of Issa (which is Vis) and Tragurion (present-day Trogir). The Romans followed the Greeks, and ruled areas of Croatia in a much more emphatic fashion. Parts of what is today Croatia, especially the areas along the coast and Dalmatia in particular, became part of the Roman Empire around 9 AD. The major Roman settlements included Pola (Pula), Jader (Zadar), Salona (Solin, which is near Split) and Epidaurum (Cavtat). Emperor Diocletian (who ruled from 284 AD to 286 AD) was born in Salona/Solin and had his palace in Split – elements of which are very well preserved and an absolute must-see – built in 305 AD. Another famous sight from the Roman period – the Arena in Pula – was built between 27 BC to 68 AD. Around the early part of the 7th century AD, Croatian tribes (arriving from present day Poland) settled across various parts of the area that is present-day Croatia in both the northern and southern regions. The Croats accepted Christianity around 800 AD, and soon established their own state ruled by princes or dukes. The first prominent ruler in Croatia was Branimir, who was a duke of Dalmatia from 872 to 879. It was King Tomislav, however, who united the Croats in Dalmatia and Pannonia (northern Croatia) into one Kingdom in 925. The Croatia of this time was a reasonably strong country within Europe. Tomislav was succeeded by the Kings Kresimir and Zvonimir. In 1091, as Croatia’s lineage of Kings had come to an end, King Ladislaus of Hungary became ruler of Croatia. It was in 1102, however, that an official union with Hungary was established, whereby Croatia retained its existence as a separate Kingdom and could be governed by its own Ban (governor) who would be appointed by the Hungarian King. This union with Hungary, under various guises and rulers, would last until World War I. Along the coast, a different history was progressing. Of probably the greatest importance, Dubrovnik was established in the 7th century. It then became part of the Byzantine Empire until 1205, after which it was taken over by Venice. In 1358, Dubrovnik gained independence and the Republic of Ragusa, as it was known, prospered for a number of centuries due to shipping and trade. Both the inland and coastal regions – the latter after the fall of Venice – were swallowed up by the Austro-Hungarian Empire in the early part of the 19th century. In 1918, following the end of World War I, the Kingdom of Serbs, Croats and Slovenes was formed (which would later be called Yugoslavia). This first version of Yugoslavia (which lasted from 1918 until 1941) was ruled by the Serbian royal family, Karadjordjevic, which naturally favoured the Serbs and caused enormous resentment in Croatia. Furthermore, parts of coastline (including Istria, Rijeka and Zadar, and some of the islands) had been given to Italy by the 1920 Treaty of Rapallo. In November 1945, the Republic of Yugoslavia was officially created – with Marshal Tito as its leader – which contained Croatia, Slovenia, Bosnia & Hercegovina, Serbia, Montenegro and Macedonia (as well as the autonomous provinces of Vojvodina and Kosovo). The country was later renamed the Socialist Federal Republic of Yugoslavia in 1963. Breaking ties with Stalin and the USSR in 1948, Yugoslavia prospered to a certain extent under Tito. A relaxed stance on ties with the West – unlike much of Eastern Europe at the time – meant trade and tourism in the country were allowed to flourish. Tito also did well to quash any resentments between the Yugoslav republics (as well as stifling any nationalistic feelings from these republics) which kept the country more-or-less unified. After his death in 1980, Yugoslavia stumbled on for another ten or so years. On 25th June 1991, Croatia declared its independence from Yugoslavia (as did Slovenia) prompting Serbian invasion. Croats rose to defend their country under the leadership of its first president, Franjo Tudjman (who died in December 1999), and after four years the country was fully liberated. Croatia celebrated twenty five years of independence in 2016 and, in that time, it has undergone many transitions – not least coping with the effects of the war in the early 1990s. It is a beautiful country and certainly well worth visiting for its scenery, culture, sights, beautiful coastline and more. We’ve given you just a brief history of the country, but we do hope you pay a visit (and use this site to start off your travel planning!) and experience it for yourself!